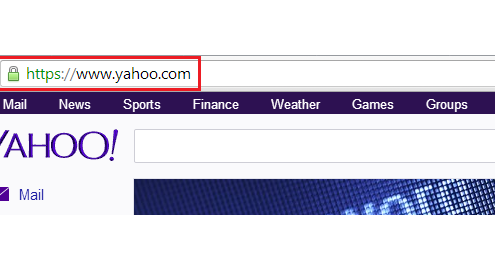 Yahoo finally rolled out default secure search for Yahoo.com. The change seems to have been rolled out only on this domain, and not on other Yahoo properties such as Yahoo Japan, Germany, France, or UK. Yahoo CEO Marissa Mayer hinted at their plans to move toward secure search late last year. In a post on Yahoo’s official Tumblr blog, she said that they “will make Yahoo Mail even more secure by introducing https (SSL – Secure Sockets Layer) encryption with a 2048-bit key across our network by January 8, 2014.” Recently, Mayer told MarketingLand said that they are “in the process of rolling [this change] out”. The company didn’t say exactly when they started the implementation, but it seems to have been done fairly recently. Visiting http://www.yahoo.com URL will automatically redirect you to the https:// version of the site. All search results pages are also on a secure https:// server. This means that Yahoo is sending all search query data through a secure server, which prevents “outsiders” like government agencies like the NSA or private third parties from gathering this data. Yahoo is no longer relaying any referrer data to most marketers and website owners. The way the company implemented secure search prevents webmasters from seeing how much traffic they’re getting from Yahoo search. This will make it look like Yahoo dropped in search popularity and that there was an increase in “direct” traffic. Google, which rolled out secure search first, still passes on referrer data, allowing you to still see how much traffic you’re getting from Google search, even without the keywords. Yahoo confirmed that full referrer data is made available to advertisers, much like how Google still provides keyword data to advertisers using AdWords. A tweet from Digital Point shows that Yahoo may also be relaying referrer data to websites hosted on secure servers, but the company has yet to confirm this information. Keep following our blog for the latest updates on secure search and other important updates that could affect the best practices for SEO services.